Many of us in Boston Handmade use traditional techniques like sewing, knitting, painting, metalsmithing, and woodworking to make modern pieces of art and craft. But as a group, we're certainly not averse to new technologies--we blog, tweet, and sell on Etsy, after all. Tony and I are increasingly dependent on our (...okay, okay, HIS) iPhone to both run our business and help us with our creative process. We use it to talk and write to our customers, find out what's going on in the design world, and to process credit cards at markets (so cool!). Importantly, we also entertain our dog and cats with bird noises with the iBird app. It's good for employee morale. 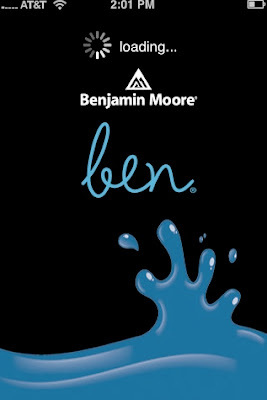 The app allows us to match colors from photos we take with our phone to Benjamin Moore colors, so we can make a note of which paints we want to pick up for our next project. 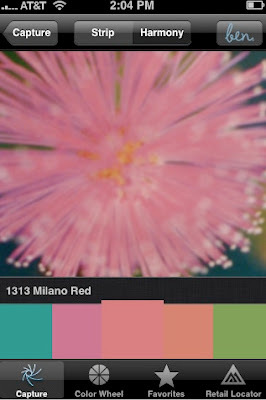 We're constantly inspired by colors we see around us, and this app is so much easier to use than my old method--carrying around a massive color fan deck and post-it noting the matching colors! 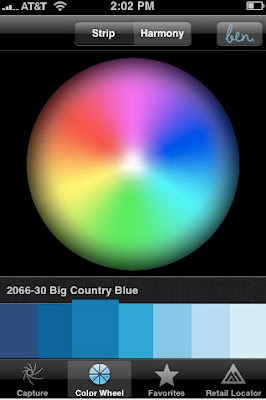 How do you use technology to assist in your creative work?